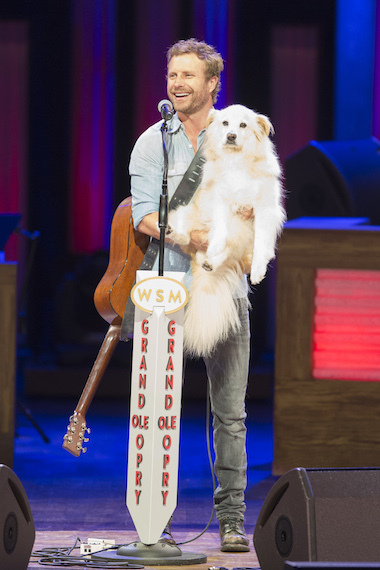 Dierks Bentley celebrated his 10th anniversary as a member of the Grand Ole Opry last night (Sept. 29). During his set, Bentley performed hits including “What Was I Thinkin’,” “Settle For A Slowdown,” “Free And Easy (Down The Road I Go),” “Home,” and “Riser.” He was also joined by friends Dailey and Vincent for the bluegrass tune “Rovin’ Gambler,” and his dog Jake, who was also there during his Opry induction 10 years ago. 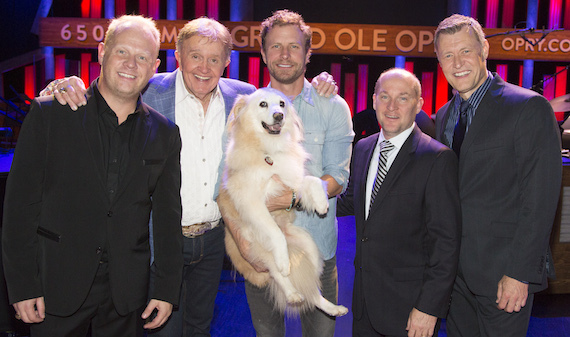 The Opry will be hosting a star-studded 90th Birthday Bash this weekend.